To learn more about our Associations, Memberships and Certifications, please see below. NAHB has a long history in the industry and with serving its members. NAHBs various groups analyze policy issues, work toward improving the housing finance system, and analyze and forecast economic and consumer trends. 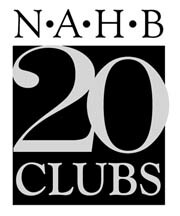 The 20 Clubs are comprised of similar type builders or remodelers from non-competing markets who meet several times a year to share their wisdom and learn from each other ways to improve their operations and increase their bottom lines. Members share and compare financial information, look for trouble spots, and offer each other advice on how to increase their profit ratios and improve their performance. Build Green NM is a statewide program for certifying Green Residential Building and is now housed under the Foundation For Building (FFB), a non profit that also support affordable housing and builder education. Build Green NM is recognized in several local and state codes and at the higher levels of certifications homes may qualify for substantial state tax credits. Aging-In-Place means remaining in ones home safely, independently, and comfortably, regardless of age, income, or ability level. 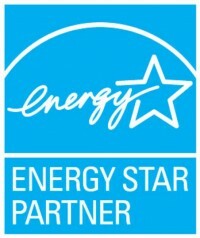 And with homebuyers increasingly interested in green building, energy efficiency is the place to start. Thats because the energy used in homes often comes from the burning of fossil fuels at power plants, which contributes to smog, acid rain, and risks of global warming. 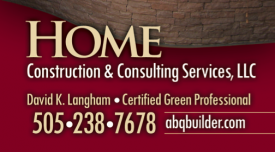 The Home Builders Association of Central New Mexico (HBA of CNM) is the undisputed resource for those involved in all facets of the residential construction, light commercial construction and remodeling industry. As an organization we represent not only the interests of our members, but also the home-buying public. New Mexico Home Builders Association (NMHBA) is a 2,000+ member trade association that was chartered with the National Association of Home Builders in 1959 to improve conditions in the construction industry, thereby providing the citizens of New Mexico with safe, quality housing. The International Codes, or I-Codes, published by ICC, provide minimum safeguards for people at home, at school and in the workplace. The I-Codes are a complete set of comprehensive, coordinated building safety and fire prevention codes. USGBC NM is a local non-profit with a mission to transform our built environment through education, collaboration and outreach that promotes environmentally responsible practices that are economically and socially beneficial to the community.